The First Special Service Force was an innocuous name for the joint Canadian-American fighting force created during World War II, but during late 1943 and early 1944 the men of the Force more than earned the nickname bestowed upon them by the Germans: The Black Devils. Covering their faces in black shoe polish, the Black Devils moved through the night, often behind enemy lines, attacking in small numbers with unprecedented fighting skills. From their first battle to their last, the Black Devils displayed toughness and tenacity as they fought more experienced and well-armed enemies. In Italy, the Black Devils summited the “un-scalable” cliffs of Monte La Difensa and overwhelmed an astonished German force at the top. Joe Glass’ platoon, the 3rd Platoon, was the first up the ropes. 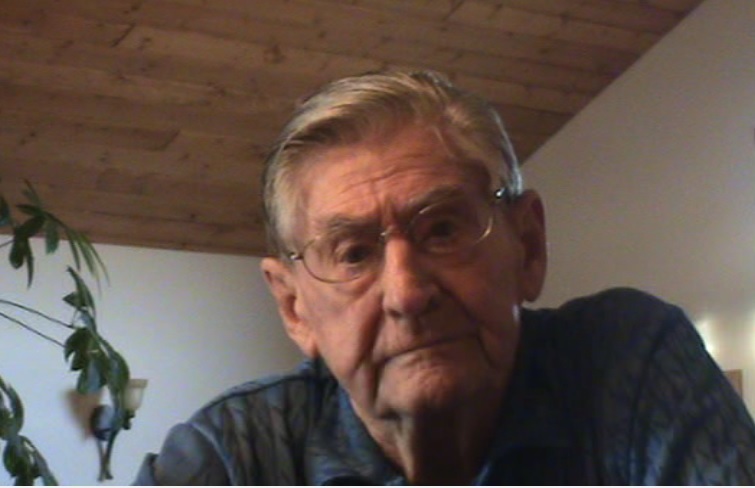 Born in Sarnia, Ontario, on March 14th, 1920, Joe Glass weathered the Great Depression by first joining the Canadian Merchant Navy, then the Canadian Army. He then volunteered for the First Special Service Force, which recruited hardy outdoorsmen including lumberjacks, hunters, and forest rangers. The men trained in harsh temperatures and mountainous regions surrounding Helena, Montana. They parachuted from planes mere days into training, learned new hand-to-hand techniques under the tutelage of a former Shanghai Municipal Police officer and martial arts expert, and camped out in the wilderness to learn survival skills. Though he reveled in his training, Joe was more than a rowdy kid who got into fights at local bars in Helena, as the Force men often did, and snuck out of camp at night to party in town with his best friend Lorin Waling. While out one night at the Casino Bar, he met the beautiful bartender Dorothy and her best friend Steffie. Joe later married Dorothy, and a few months after that Lorin married Steffie. The four had a friendship that lasted over 60 years. Joe and Lorin summitted Monte La Difensa together, though they split up at the top. Joe moved to the right of the battlefield and Lorin went to the left, and in the early morning of December 3rd, 1943, the mountaintop exploded into chaos as the Force took on the Germans. One German sniper nearly ended Joe’s combat career just as it was starting and as Joe tried to line up his shot on the sniper, the sniper lined up on Joe. Chips of rock struck Joe in the eye, temporarily blinding him and damaging his little finger. While fighting the sniper, Joe was joined by another soldier and Captain Bill Rothlin. Joe warned them to stay low, but curiosity won out and both men peeked out from behind the rocks. Both were promptly shot and killed. Though it is unclear how the German sniper died (perhaps shot, perhaps blown up with a grenade), he disappeared shortly afterward. After taking Monte La Difensa, the Force moved on to Anzio to hold a section of the line. The Force men numbered 800, and the division holding the line before them had numbered 10,000. To hold the line with so few men, the Force men snuck behind enemy lines to sow fear and destruction, scouting out the German positions. Here they earned their nickname the Black Devils as their polished-covered faces, necks, and hands were a part of their stealth tactics. Sometimes members of the Force would sneak behind enemy lines into the sleeping quarters of the enemy and kill just one, leaving a card that read, “Das dicke Ende kommt noch!” (translation: the worst is yet to come). This intimidation ensured that the Germans units positioned against the Force moved farther and farther back from the line. Despite his previous eye injury, Joe’s night vision was excellent. Both he and Lorin relished their nighttime scouting missions deep into enemy territory. During a daytime raid near Borgo Piave on May 21st, 1944, Joe suffered near-fatal injuries after being shot through the back. The bullet tore through his lung, causing it to fill with blood. After being carried off the battlefield, a doctor from Detroit gave Joe a cigarette to smoke so he would cough up all the stagnant blood. He did actually cough up the clot, and doctors saved his one remaining lung. Once stable, Joe was flown to a US military hospital in Naples. After about a month in Naples, Joe returned to Santa Maria. Due to his injuries, he could not return to combat, was lucky enough to be able to stay connected with his unit by training replacement troops. When the new guys were sent to France, Joe connived a way to accompany them, but was still disappointed to be denied the opportunity to fight again. In October of 1944, Joe was discharged from the Black Devils. He spent some time in England recuperating before returning to Sarnia to be reunited with his family. Joe and Dorothy moved to Helena in 1946, back to the place where he’d met the love of his life, he’d met his best friends, and his proudest chapter as a Black Devil had begun. Joe and Lorin drove taxis and talked about the war every day, remembering lost friends and the struggles they had endured. Joe moved on to running poker games, and finally opened businesses with his wife and eldest son in 1975, including B&J Bingo and Glass’ Fish ‘n Chips. Joe Glass passed away on April 1st, 2012, in Helena, Montana.